Yesterday we heard rumors of a new Retina MacBook Pro line up, they are now official and Apple has updated its 13 inch and 15 inch Retina MacBook Pro range. 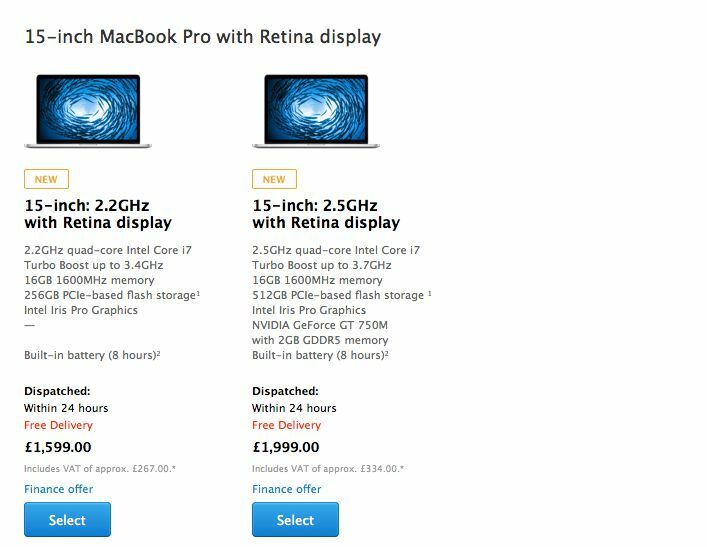 The new 13 inch Retina MacBook Pro’s come with a choice of a 2.6GHz Intel Core i5 processor with 8GB of RAM and either 128GB or 256GB of SSD storage, and a 2.8GHz Intel Core i7 processor with 8GB or RAM and 512GB of SSD storage, prices are £999, £1,199 and £1,1399 respectively. 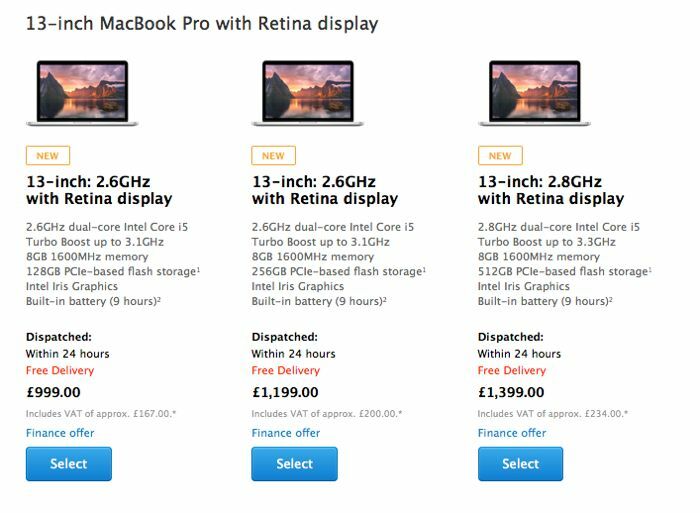 The 15 inch versions of the Retina MacBook Pro’s have also been updated, there are now two models to choose from, and both come with 16GB of RAM as standard. The entry level 15 inch model features a 2.2GHz Intel Core i7 processor and 256GB of built in storage, this model retails for £1,599, the top model comes with a 2.5GHz Intel Core i7 processor and 512GB of SSD storage, this one will set you back £1,999. 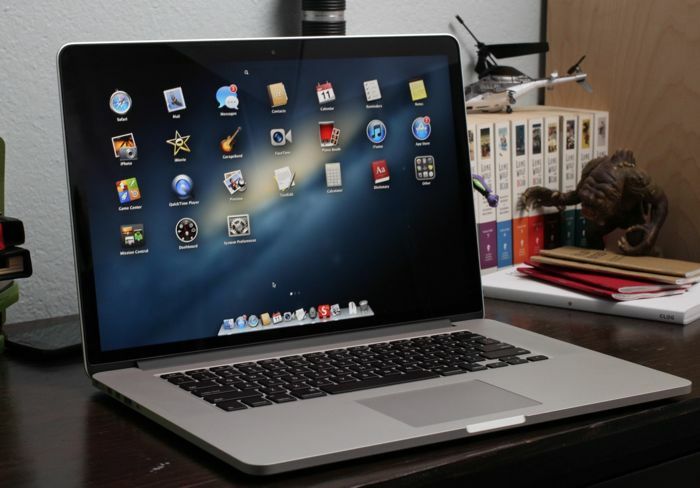 The non Retina MacBook Pro has not been updated, although the price has been reduced on this model to £899, you can find out more information over at Apple at the link below.